Speaking of lack of breakfast-eating, one thing I’ve been able to sneak in now and again is my tried and true egg bake. 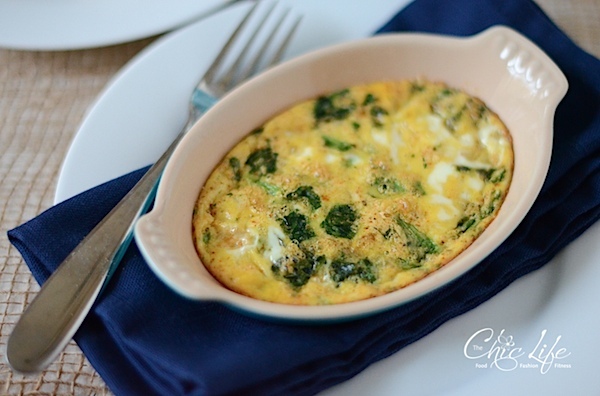 These truly are SO much easier than making a fried or scrambled egg. Each of those requires dedicated attention during the cook time. 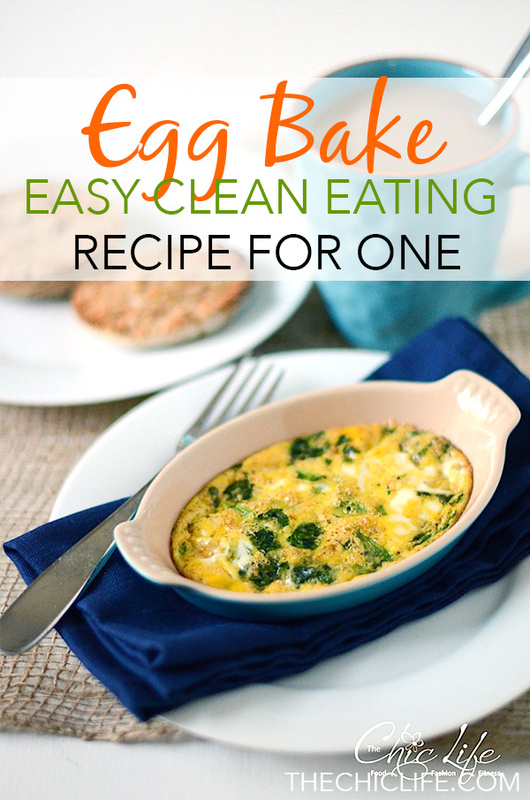 With an egg bake, you just throw some stuff in a bowl, mix it up, and pour it into a prepared mini baking dish. Instead of hanging out by the stove, I get ready for the work day while the egg bake cooks in the oven. I love the multi-tasking! However, I haven’t been grocery shopping much lately, so I’ve had to get creative on my recent egg bake ingredients and flavors. Since I’ve been so big into spices lately, my latest thought was to add in one of the new spice blends I recently purchased – Berebere Ethiopian Style Seasoning. Would it work? It worked great! The spice blend added a zesty flavor to the egg bake that I’ve really enjoyed. Another trick? I scored some Van’s frozen whole grain English muffins on sale at Whole Foods recently. They have been lifesavers considering my lack of grocery shopping as of late. Both the egg bake and the English muffins are great pantry dishes, really, since I didn’t need fresh ingredients. The English muffins were in the freezer, the eggs and milk were in the fridge, and the spices were in my cabinet. Busy-bees, rejoice! Oh, and for my long-time readers, yes, this is basically a slight adjustment to my previous versions of this recipe, but I like to type it all out so you and newer readers don’t have to click back and forth. A simple addition of the zesty Berebere Ethiopian style spice blend adds great flavor to this easy breakfast dish! 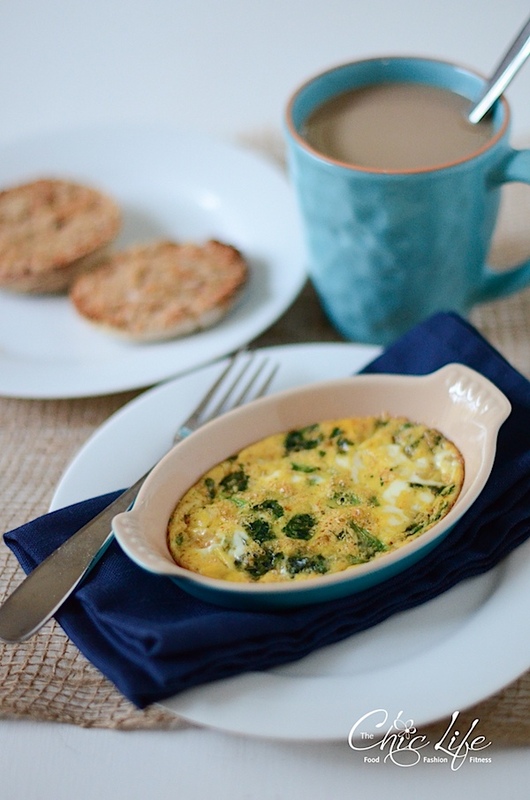 Mix, pour, and multi-task while your egg bake cooks in the oven. Pre-heat oven to 350 degrees F and rub inside of small, individual-sized baking dish with butter (or brush with melted butter). Combine egg, milk, Berebere spice blend, salt, and pepper in a bowl and whisk together. Add spinach and mix in. Evenly distribute egg mixture to individual casserole dish(es). Bake until edges are golden brown and egg is set in the middle, about 16-18 minutes (depending oven temperature, etc.). Note: I used a toothpick to check doneness, sort of like you would for cake. Remove from oven and let sit for a couple minutes till it’s safe to eat. Enjoy! Reader question: What do you eat for breakfast when you haven’t been grocery shopping in awhile? That looks delicious. Do you have any idea what the ingredient amounts would look like if you wanted to make it for a large casserole dish (amounts?). My friend, Sara, made a delicious egg casserole for me and a group of girls when we visited her in VA. In her recipe, she used 18 eggs but no milk. She added sausage and croissant pieces. So, I think it would be pretty flexible. The 18 eggs made a huge casserole enough to feed about 10-12 girls. So, the egg count would depend on how many people you were trying to feed. I usually do about 1 egg per person. I probably wouldn’t measure most of the other ingredients – just add a dash of milk, a handful of frozen spinach, etc. The seasoning amount would probably be the tricky part. I’d probably just multiply the 1/8 tsp x each egg. So, roughly 1/2 tsp for every 4 eggs, etc. Baking time will vary, of course. I’d just bake it till the center set. It will probably be easier to do so if the mixture is baked somewhat wide, so it’s not too thick. Let me know how it works out if you try it!